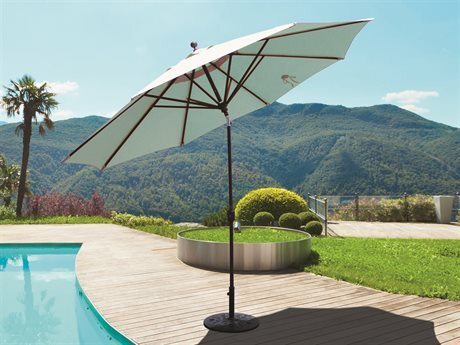 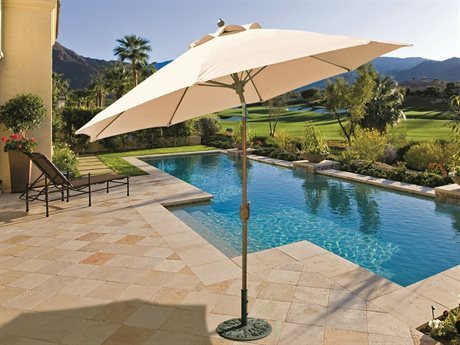 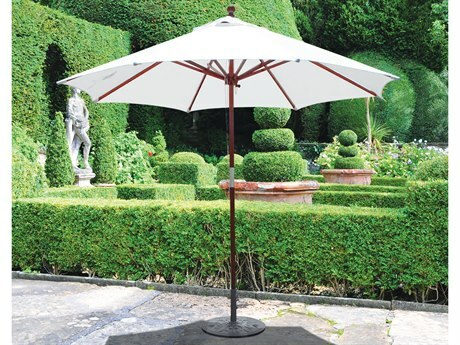 Umbrella shades are used to protect you and your guests from adverse weather, such as the sun’s rays and heavy rain. 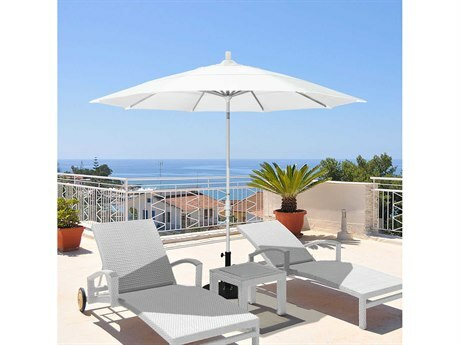 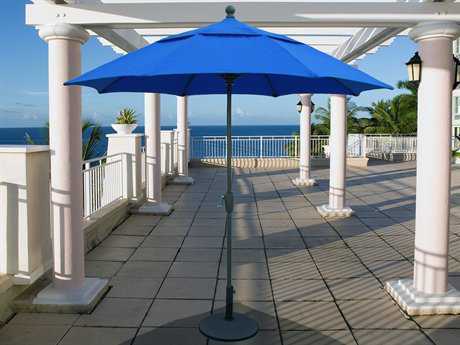 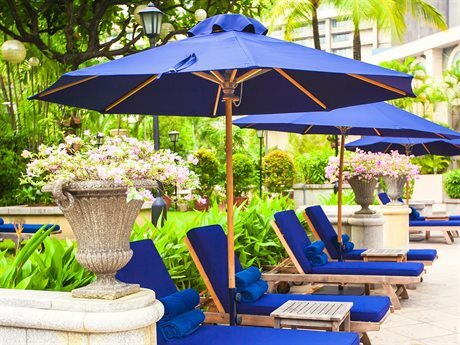 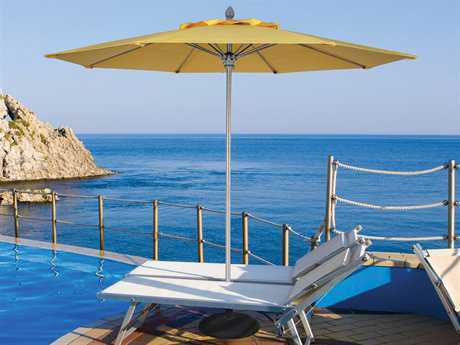 Types of umbrellas available range from beach shade umbrellas to wind resistant, aluminum, wall mountable, and crank lift umbrellas for both residential and commercial use. 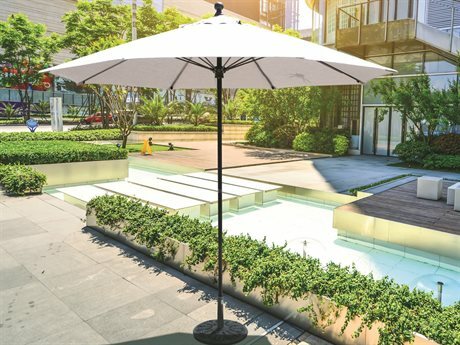 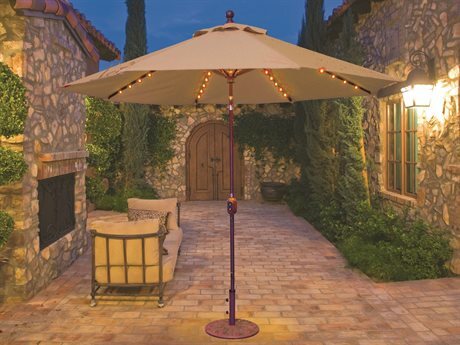 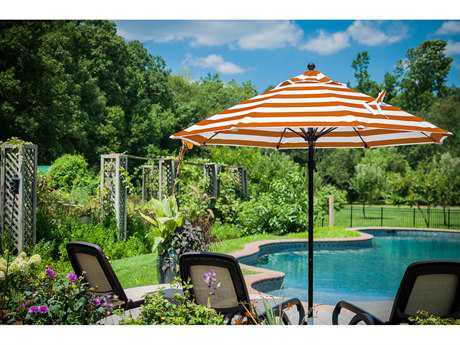 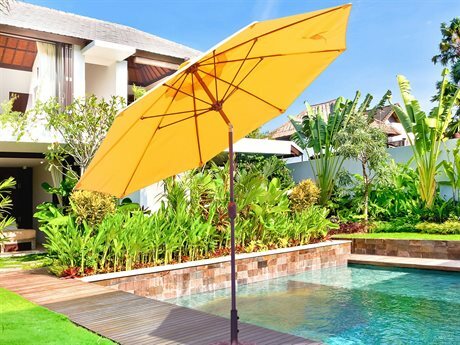 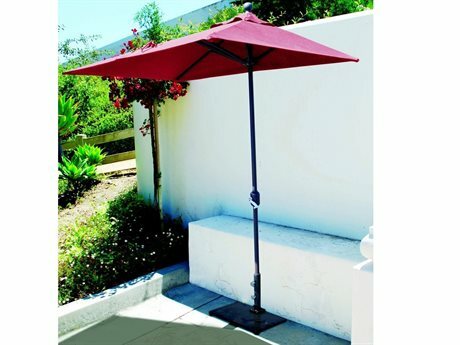 There are also traditional market umbrellas as well as offset umbrellas to give your space a unique look while having the function of preventing the umbrella pole from obstructing your entertaining space. 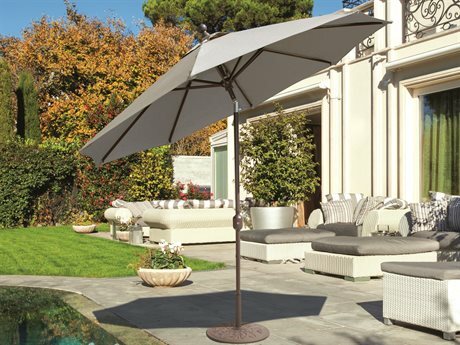 Umbrella shades come in a variety of colors, shapes, and sizes so you can find the perfect umbrella for your design preference. 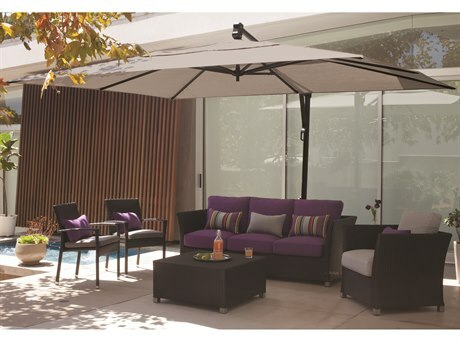 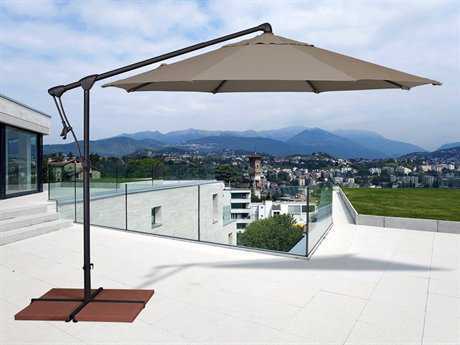 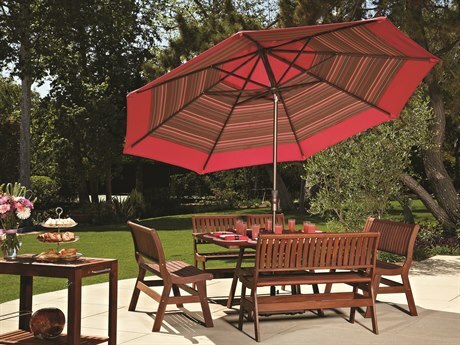 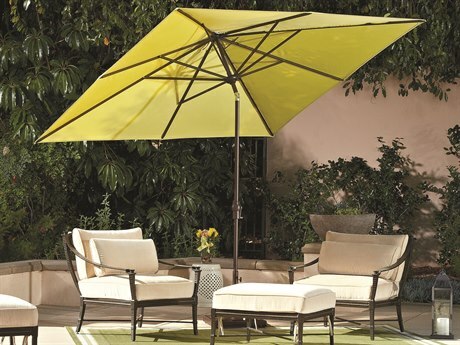 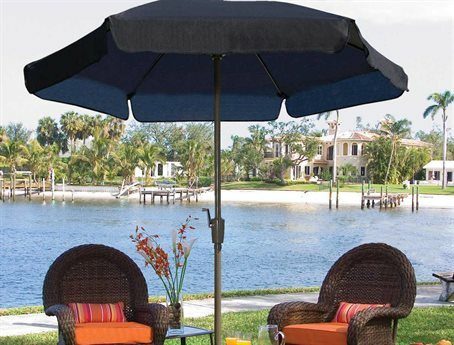 Umbrella shades provide protection from the elements, so you can relax on your outdoor patio in any weather. 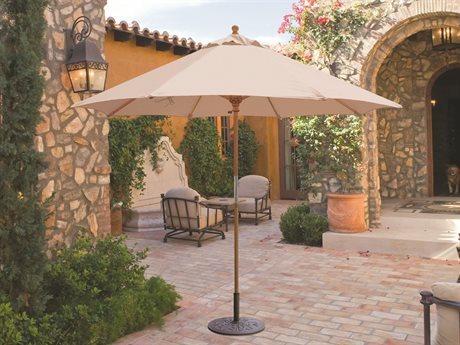 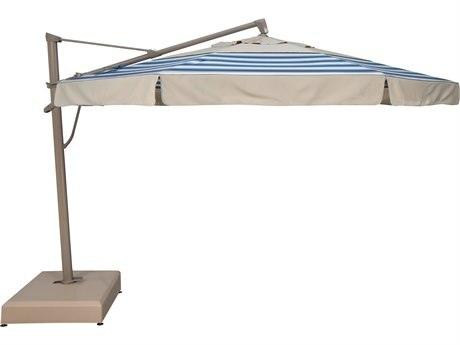 With so many different styles and functions available, you can find an umbrella shade that fits your needs. 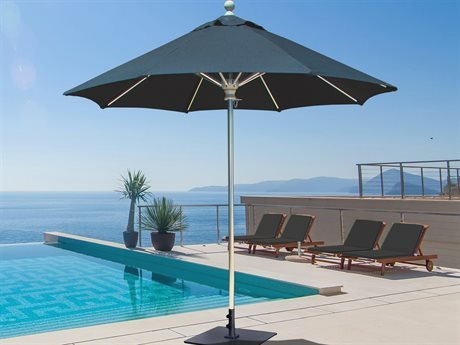 Wall mounted umbrella shades work well in areas with minimal floor space or balconies and act as an adjustable roof. 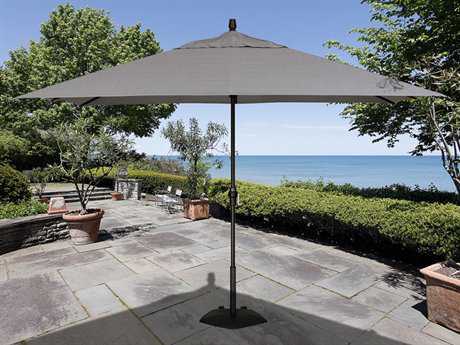 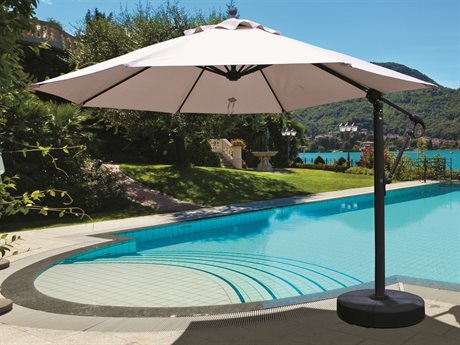 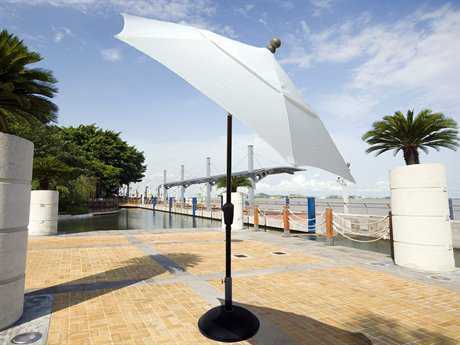 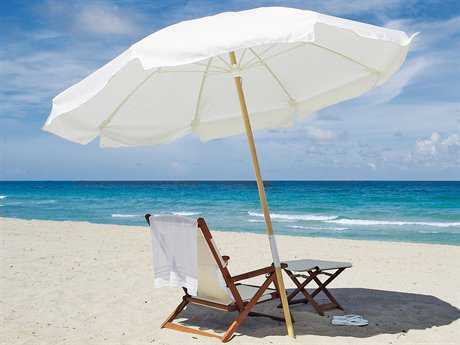 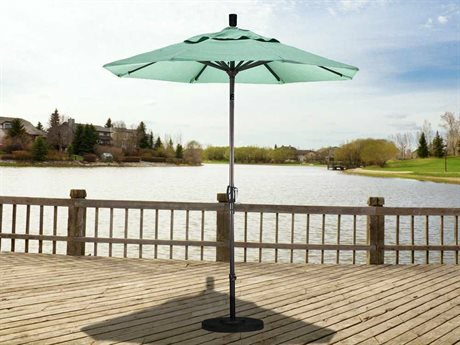 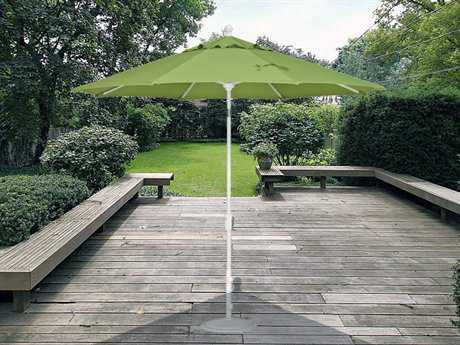 Aluminum shade umbrellas are wind and water resistant. 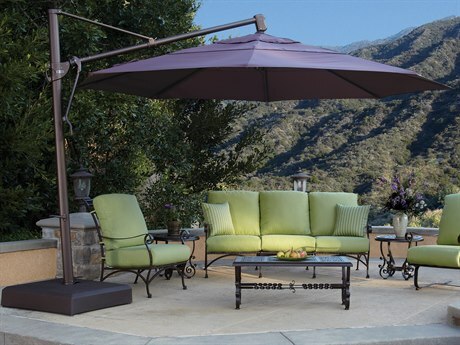 Gazebos are perfect for creating a protected, enclosed space when needed with the option of pulling back the drapes to turn it into an open-air shaded area. 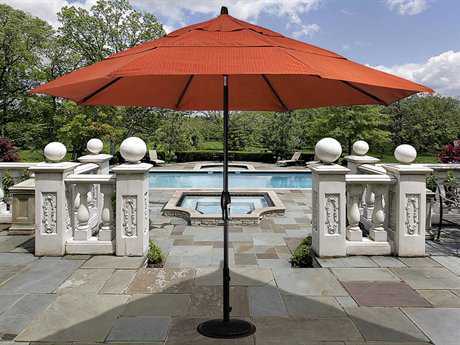 With various umbrella shade shapes, including the standard octagonal and also rectangular, round, square, and triangle, you can find exactly what fits your patio layout. 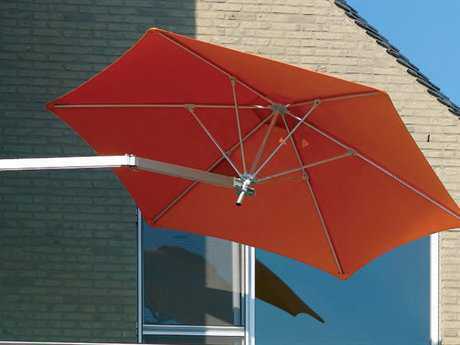 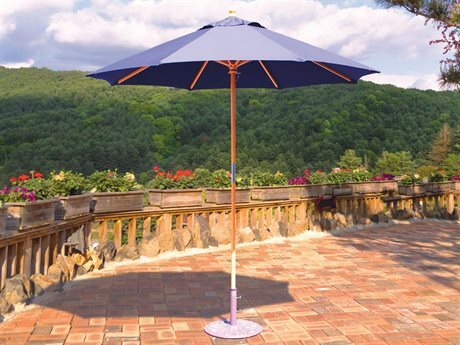 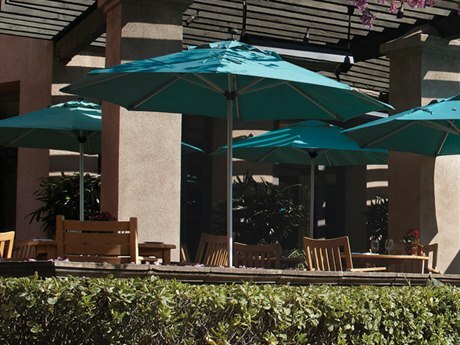 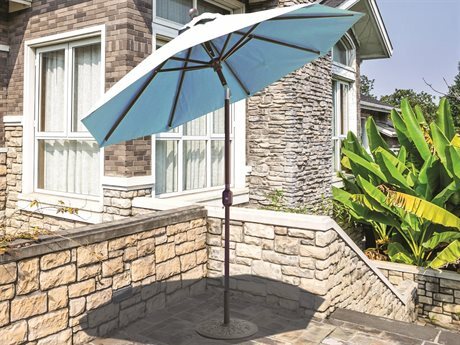 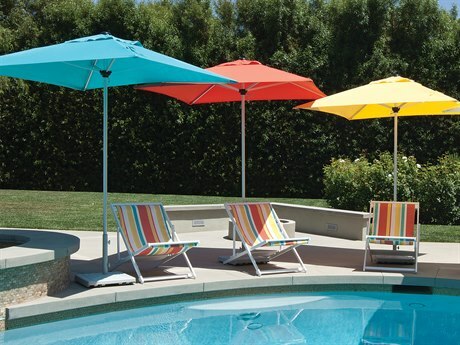 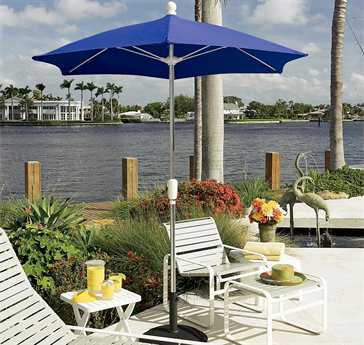 Along with different shade shapes, PatioLiving also offers an assortment of colors, patterns, and fabrics, as well as multiple materials for the umbrella pole, such as wood and steel. 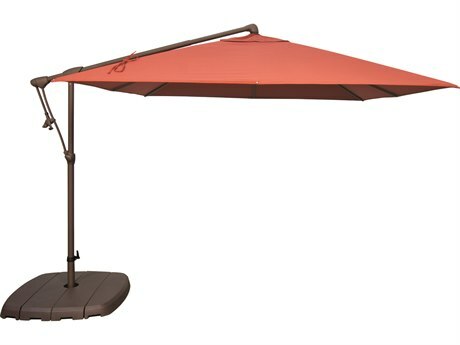 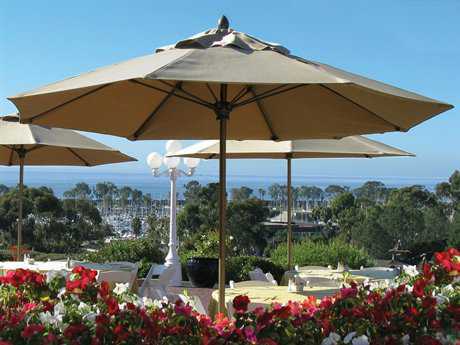 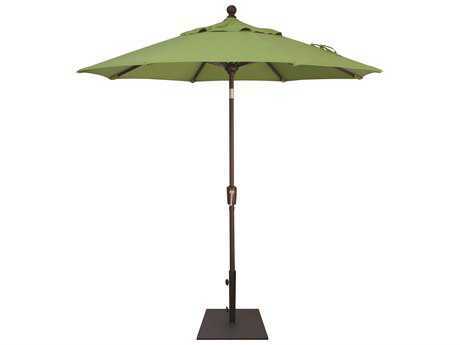 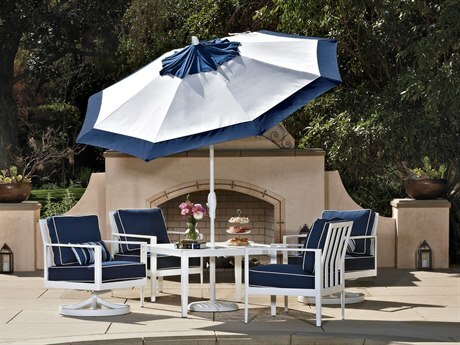 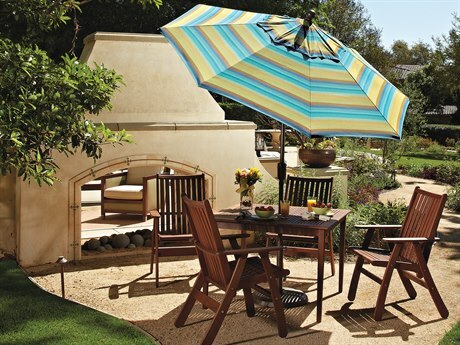 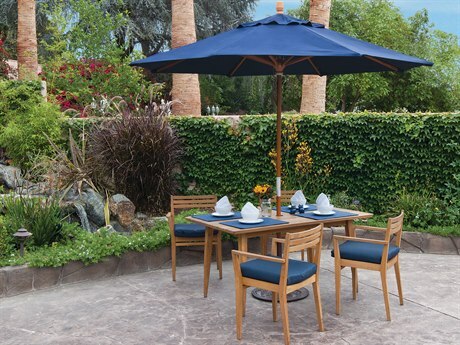 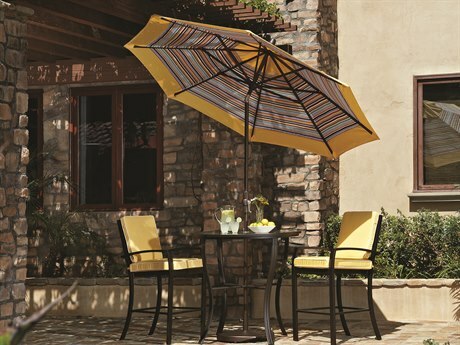 Many patio tables have a hole in the center to place your umbrella and shade guests while they are dining or relaxing. 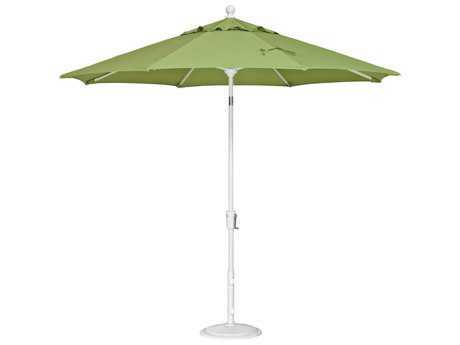 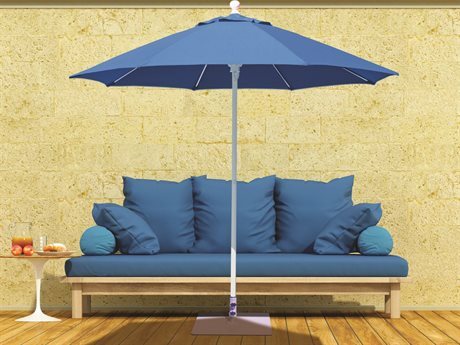 You could also place an umbrella near your lounge set using an umbrella stand or base to provide shade to your entire patio. 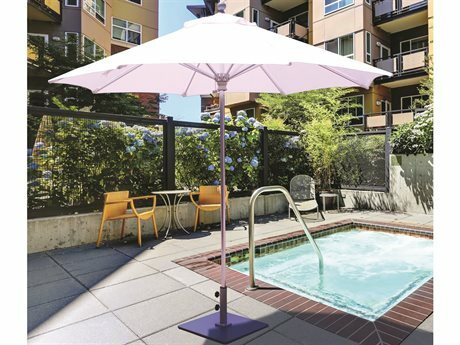 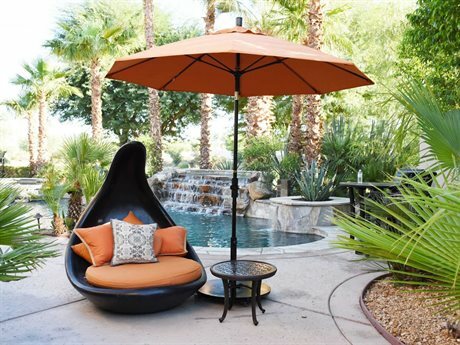 Our Patio Umbrella Buying Guide will give you all of the information you need to select the perfect patio umbrella for your space.